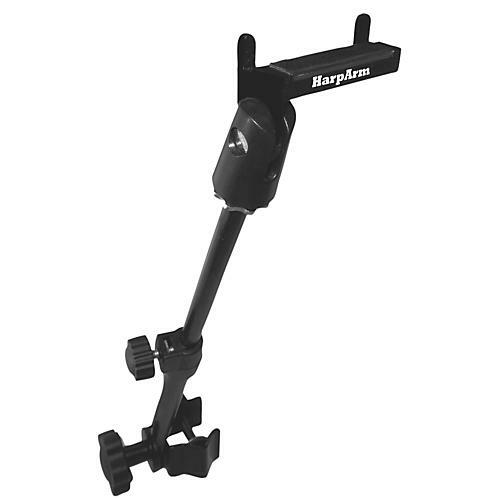 The Harparm is a magnetic harmonica holder that attaches to any standard mic or boom stand. Works with nearly all contemporary harmonicas. Using the HarpStrip, it even works with stainless steel, plastic and wood harmonicas. Telescopes to 16".